Upcoming Events with an AU presence. Don`t miss a chance to bid on birds from club members with phenomenal pigeons, and donors. (Mostly young ones ready for young bird season). As usual we will also have one of the best lunches you may ever have during your stay with fanciers! Please plan to join us. Second generation pigeon fancier, Bob McKenna, will talk about the breeding, training and history of homing pigeons, including their use in wartime. Bob is the chairman of the New England Open Pigeon Races and is on the board of the directors of the national organization, The American Racing Pigeon Union. Come visit with Elk City pigeon flyers to get acquainted with the sport and see amazing bird releases. Price $10/person at the Garden Gate. Children under 12 free. Enjoy a variety of activities for all ages in these beautiful riverside gardens. Artists, garden tours, live music in the gazebo, bayou boat tours, Master Gardener presentations, educational exhibits, garden fairies, refreshments in the Garden Room, children's scavenger hunt and more. Get acquainted with Racing Homing Pigeons while you are there. 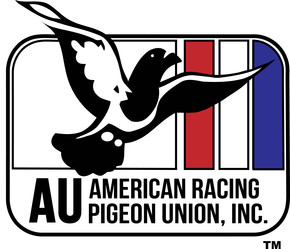 Fred Werner (from the Lafayette Racing Pigeon Club) will be there sharing information, showing his birds and providing kid’s activity sheets for booth visitors. Stick around for the treat of participating in a pigeon release! Need information? Contact Fred Werner at 337-349-8428.